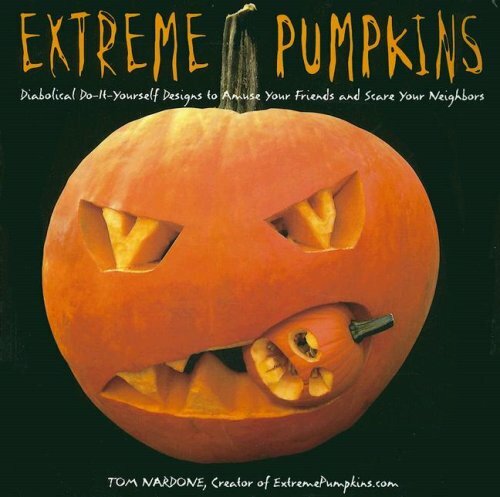 Extreme pumpkin carving is a Halloween activity that many people take on with great enthusiasm, actively seeking out new ideas every year.Extreme Pumpkins and Extreme Pumpkins 2 were written by Tom Nardone and are the perfect resource for "diabolical do-it yourself designs to amuse your friends and scare your neighbors. 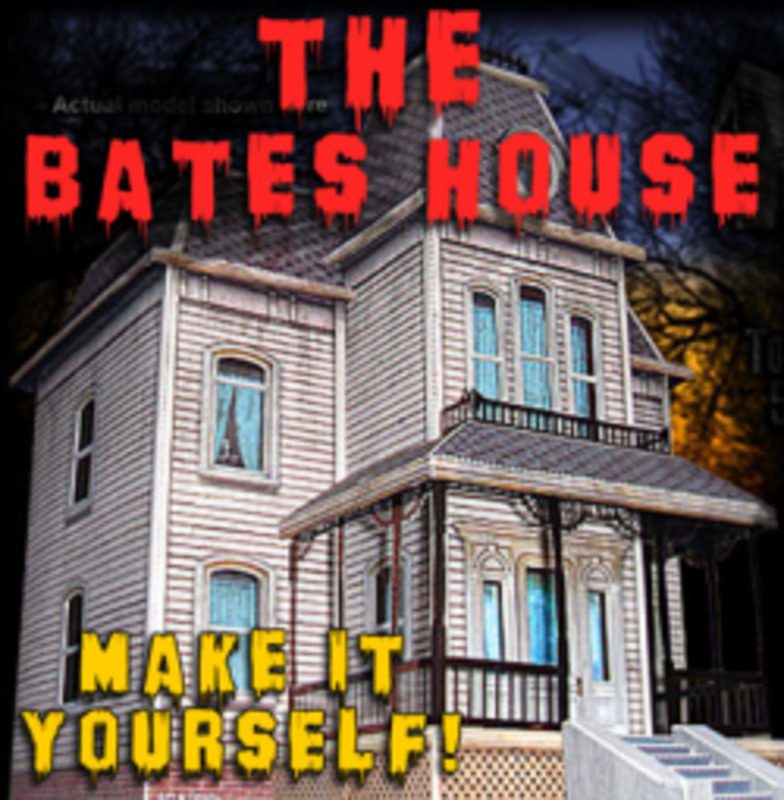 "On this page you'll find a review of the first book and more ~~ guaranteed to help put the scream back in your Halloween! Click here to buy Extreme Pumpkins. It is extreme-ly reasonably priced at under $5. If You Are Tired of Cutesy Pumpkins, This Book Is For You! What's The 'Scoop' On Extreme Pumpkins? Extreme Pumpkins is a guide to carving pumpkins that are, let's say, a little bit out of the ordinary. 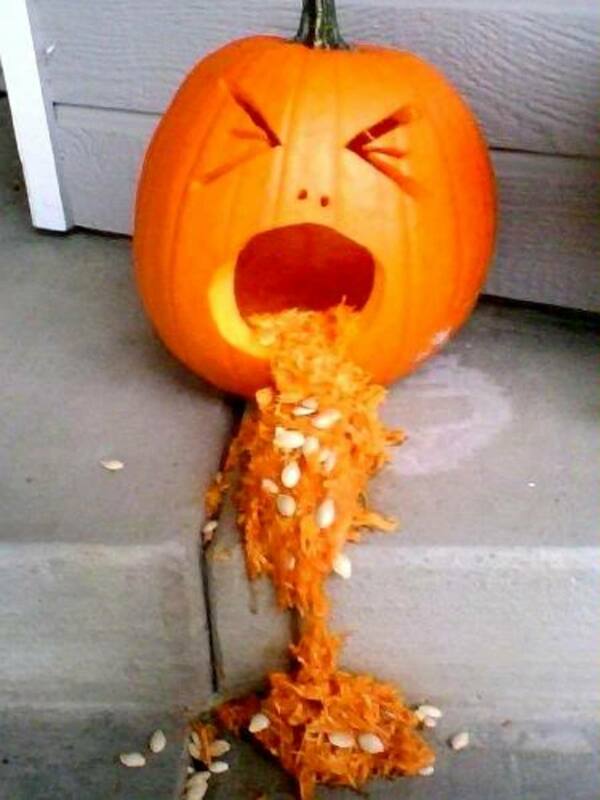 It includes Tom Nardone's signature puking pumpkin shown below and all sorts of other gruesome creations -- including but not limited to a worm-infested pumpkin, a punk rock pumpkin, a cannibal pumpkin, a Stephen King 'Carrie' pumpkin, a crime scene pumpkin and a mooning pumpkin. These pumpkins are for adults to make and, where you deem the subject matter appropriate, kids to enjoy. Is it extremely gross?Is it truly terrifying?Is it genuinely funny?Is it undeniably cool? You'll find his pumpkin carving techniques and some awesome special effects plus the usual index, acknowledgements and information about the author. This book is NOT your typical pumpkin carving book so if you are looking for a book of ideas to share with your family of pumpkin carvers, I would not recommend it. 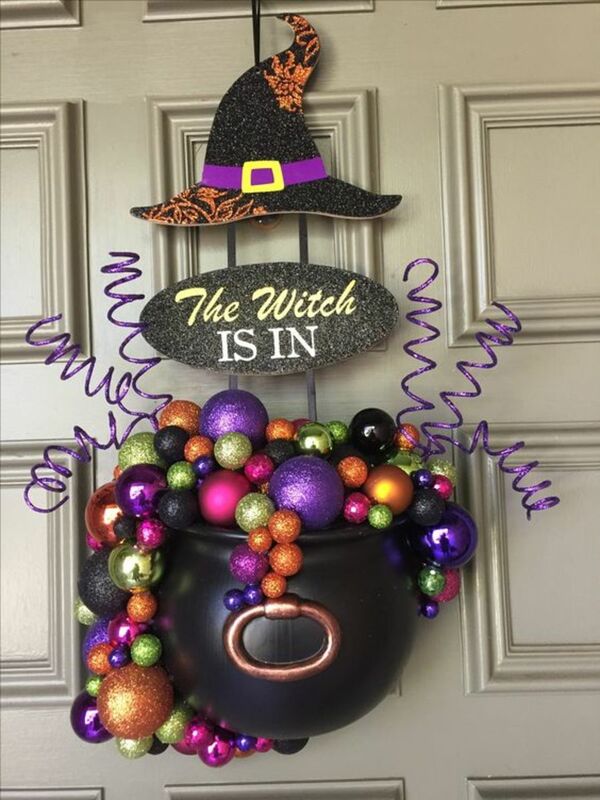 If you are, however, ready to ramp up your carving, looking for some extremely unusual ideas and you are not put off by the extreme nature of these pumpkins, you're going to love it. Ninety-six pages of pumpkin carving fun you'll use year after year! This, the first book, contains "Diabolical do-it-yourself designs to amuse your friends and scare your neighbours." This book, the second, promises to help you "Take Back Halloween and Freak Out A Few More Neighbors." The third book, Extreme Halloween contains pranks, pumpkins, party food and more. Who Is Tom Nardone? Why, he's the author of Extreme Pumpkins, of course! He's the pumpkin guru extraordinaire! Tom Nardone is the founder of extremepumpkins.com. Initially, he posted a picture of his puking pumpkin online. It received so much attention that he went on to create the website. 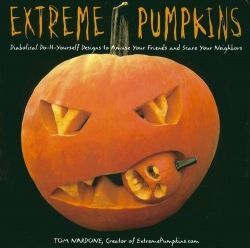 After much success with it, he wrote Extreme Pumpkins: Diabolical Do-It-Yourself Designs to Amuse Your Friends and Scare Your and Extreme Pumpkins II: Take Back Halloween and Freak Out a Few More Neighbors. Tom continues to run his very successful website ExtremePumpkins.com and to make countless appearances during the Halloween season demonstrating his amazing skills. 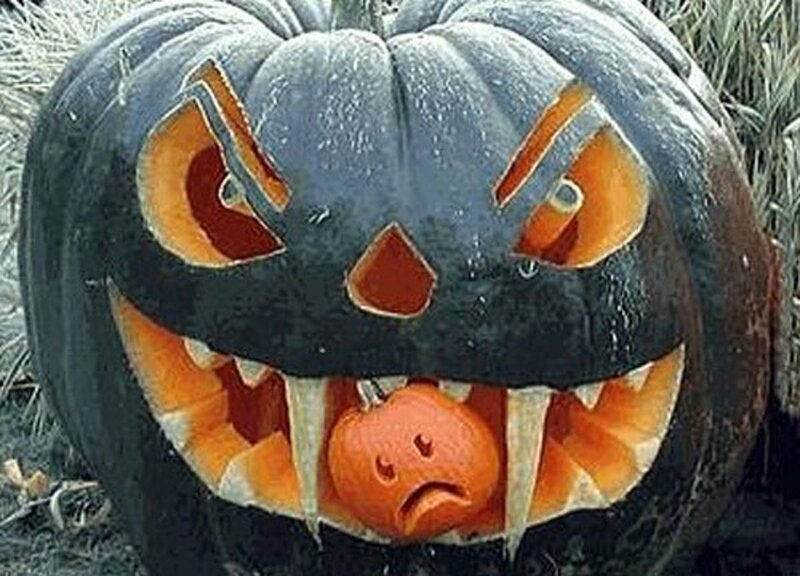 Nardone says, "I just got sick of seeing those cutsey little pumpkins at the grocery store. I wanted to scare the kids." Halloween fanatics meet your guru. Tom Nardone is putting the fear back on the faces of jack-0'-lanterns with a little help from pyrotechnics and power tools. No more "cutesy" pumpkins allowed. The Extreme Pumpkin Carving Challenge or Contest on ExtremePumpkins.com - Who can carve the most gruesome pumpkin of them all? Each year Tom Nardone runs a pumpkin carving contest on his website, extremepumpkins.com. To enter, your pumpkin must be truly horrific, hilarious or outrageous. For all the details (and to see pictures of previous winnters) be sure to check his amazing website out by following the link shown below! Nadone recommends a jigsaw for smooth cuts and irregular curves, a reciprocating saw for deep cuts and tough flesh, a router for flaying, a drill for perfect holes, a steak knife for detail work and clean-up jobs and a big spoon for goop removal. In case some of these items are too much for you, he also recommends a standard toolbox of pumpkin carving items that are a bit less advanced. He prefers the power tools shown here because they increase the speed at which he can complete a project. "Tom Nardone is the avant garde bad boy of jack-o-lantern art." It may be a cheater recipe but it is delicious so try this one when you want a pumpkin pie but you don't feel like making the crust. Looking for a recipe for Harry Potter's pumpkin juice? Come on in! Ghoulish Goodies presents more than 70 Halloween themed recipes for your haunting pleasure. Love horror movies? Celebrate the ten scariest Halloween movie villains on this page. What kind of human being might want to watch Zombieland? Find out on this my review of this horror-able zombie movie. Love werewolf movies? Have you seen all of these? What do you think of Extreme Pumpkins? Will yours be friendly or frightening? These are really cool. I lean toward Frightening. Amazing what some people are able to do with a pumpkin! Wow, these are really crazy. I wonder if there is a shrunken head pumpkin. Funny stuff, very cool lens. Great review on some good books. I like the extreme styles. Extreme Pumpkins are very cool. Excellent review, and I'm now inspired to carve with a creative edge. Wonderfully spooky and inventive! This lens is featured on Little Monsters Cookbook. Cool lens, thanks for putting this all together! It takes a lot of talent to pull something like this off (the carvings). Interesting photos. Well done! His pumpkins made me laugh at loud. How clever! One of my favorites is the Property Defender pumpkin. cool lens! I like the pumpkin mask near the end...spooky! These are so creative! I love them. Sure wish I had your imagination. Nice work! I like my pumpkins EVIL! These pumpkins are carved nicely .We use to carve pumpkins but these patterns are really "scary". It's a beautiful lens containing great carving ideas. How cool is this? I'm also partial to the cannibal pumpkin... :D 5 stars and fav. Btw: Had a vision of pumpkins doing Extreme Sports when I saw the title. I'm favoriting to remind me of how to do a great how-to lens loading with great information. Good job Brenda and Happy Halloween. Loved this lens! With two toddlers psyched for traditional pumpkin carving, my newly-teen son said "No way-borrrrring..." but Extreme pumpkins totally changed his tune! Thanks for sharing these gross, gory &amp; cool ideas! 5*'s &amp; favs &amp; lensrolled! Oh me, Extreme Pumpkin Carving is amazing and so is this lens. Blessings and thank you for all you do for Squidoo! Lol! I can see how extreme pumpkin carving could be elevated to an art. Looks like fun! Now those are some creative lookin' pumpkins! These are fun pumpkins! 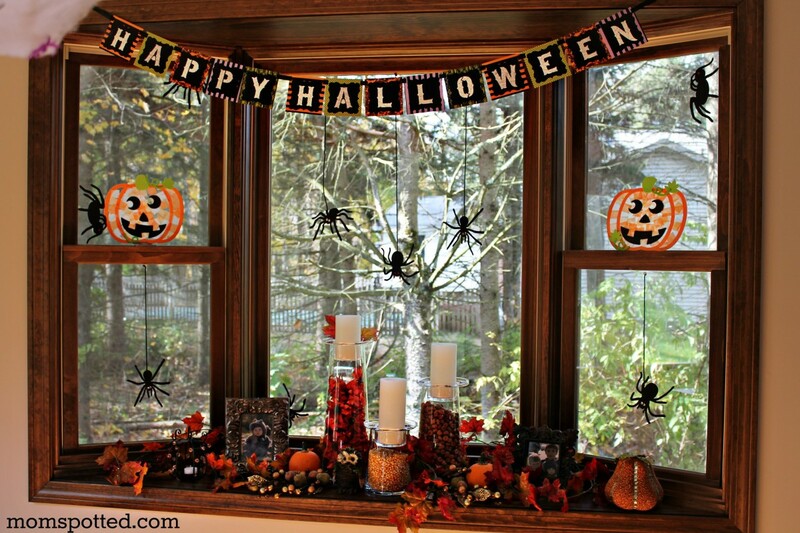 Lensrolling to Halloween Songs! I just love Halloween!